Bike trailers - High quality and many opportunities! MARLIN The ideal trailer for the busy family. Convenient and unique design. Easy to bring along. 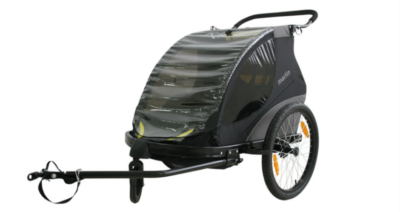 DOLPHIN XL is Winthers award-winning cycle trailer which offers you that extra height. Ideal bike trailer for shopping and more. Easy to attach to your bike and bring along when shopping. Spacious and solid.